With the arctic chill hovering over so much of our nation, here are new action-packed thrillers for your reading enjoyiment. Stay home with a good book and a cup of hot chocolate! Stephen Leather’s fast-moving Spider Shepherd and his photographic memory are back. The series includes Tall Order now available in paperback, where Spider is present at a suicide bombing at a football ground. With Spider knowing that the killer looks like, he’s the logical choice to track him and his cell. Topical and addictive. 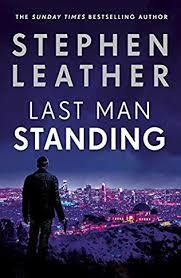 Leather’s new thriller Last Man Standing, takes readers on one wild ride and into the world of SAS trooper Matt Standing, who will call on old friend Spider to help him save his own friend. When Standing hears from the sister of the navy SEAL who once saved his life that he’s needed, he flies to LA to help Bobby-Ray Barnes. Barnes is now working as a bodyguard, but the tables are turned when the man he was guarding is killed, along with three other bodyguards. With Barnes accused of the murders, he’s in hiding for his life. 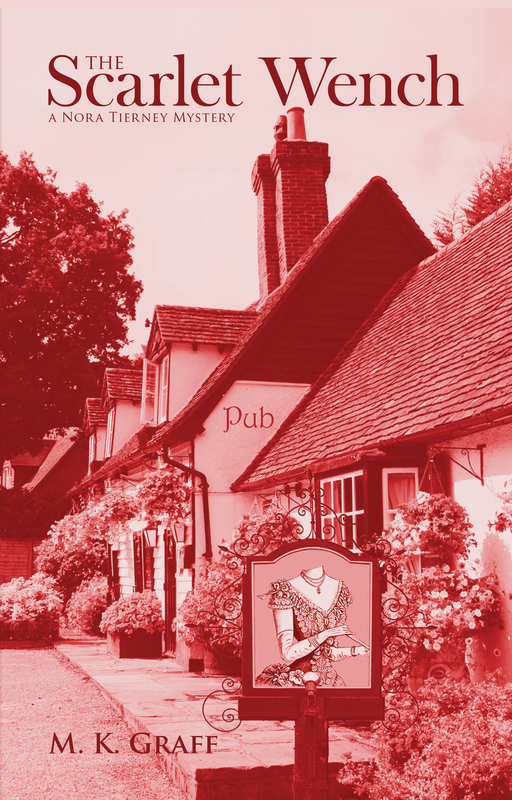 The dead client turns out to be none other than a Russian oligarch, whose Kremlin connections made him a target. But who actually is behind the murders, and the framing of Barnes? These are the questions Standing must answer as he calls on his network of friends and that includes Spider. Before it’s over, there will be torture, crashes, and non-stop twists in what turns out to be often brutal action. Leather’s in-depth characterizations are present with Matt Standing as one to watch. 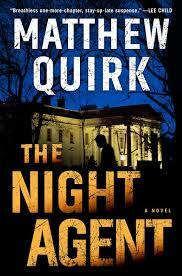 The Russians are at it again in Matthew Quirk’s The Night Agent, this time with a mole in the White House. FBI Agent Peter Sutherland is working in the in the White House Situation Room at the night desk, determined to leave his father’s breach and downfall behind. That alone puts Sutherland at a disadvantage, but he’s fought to do things by the book, until a call comes that changes everything. Rose is the caller and she brings him news that will start a chain of events Sutherland will rise to master, without knowing who he can trust. Tough and realistic, and in current times, believeable, this is non-stop action with the threat of foreign influence reaching deep inside our government. Anyone in the White House could be the secret agent, a deeply unsettling thought. With its topical storyline, quick action, and moral dilemnas, this is one to grab. 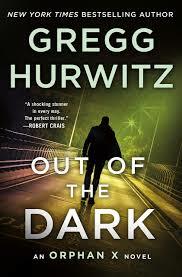 Gregg Hurwitz’s Orphan X series has a huge following who have eagerly awaited the new installment, Out of the Dark. Evan Smoak is Orphan X, who’s recast himself as The Nowhere Man, someone who helps those who have desperate problems. But this time he’s after the killer of his mentor, when the remaining Orphans, along with their trainers, are being eradicated. The man behind this trail of murder is none other than the current President of the US, a man surrounded by Secret Service agents at all times. 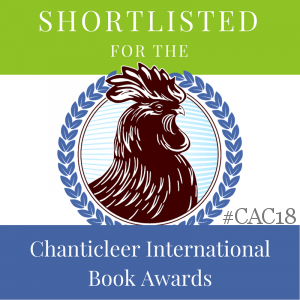 With a very small coterie of help available to him, Evan must outwit all of the President’s counter moves in an effort to save himself, just as the Nowhere Man receives his next call. With nearly constant action and a tight plot, this is one action thriller that piles complication upon repeated twists in breatahless fashion. 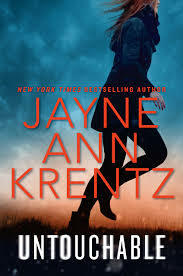 Jayne Ann Krentz has moved into the thriller category with several books and brings readers Untouchable as her latest entry. FBI Consultant Jack Lancaser was raised in a cult until a fire changed everything he’d known. Drawn to cold cases where arson is involved, his expertise has become his ability to crawl inside the mind of the killers. The satisfaction he feels at closing these old cases also bring him closer to the person from his past who is to blame for that original fire, long presumed dead. Quinton Zane is that person. With vengence his motivating thrust, Jack is in his sights as the prime target who could threaten his future plans. Before it’s over, there will be romance, family entanglements, and an adoptive father. 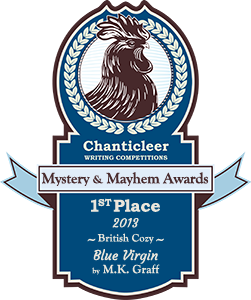 This can be read as a stand-alone, but readers of Krentz will see ties to two others with several of these characters in this series. 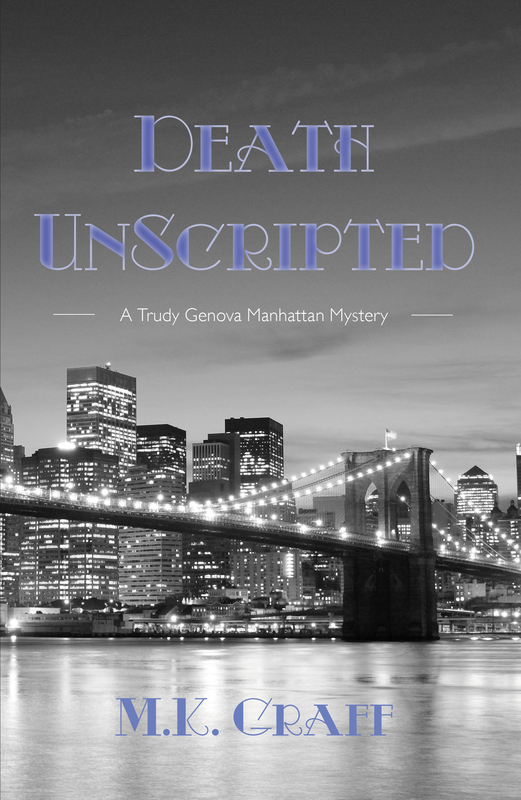 Quirky characters keep readers’ interested, and there’s plenty of clever dialogue.